It was the perfect setup line…young Sam was intensely scrutinizing the stained glass window. “I’m learning about Jesus!” he proclaimed. How did he know I would be using that image as the basis for my sermon within the hour? All the other pre-service “hectivity” stopped for me as I joined Sam in his exploration of the picture. 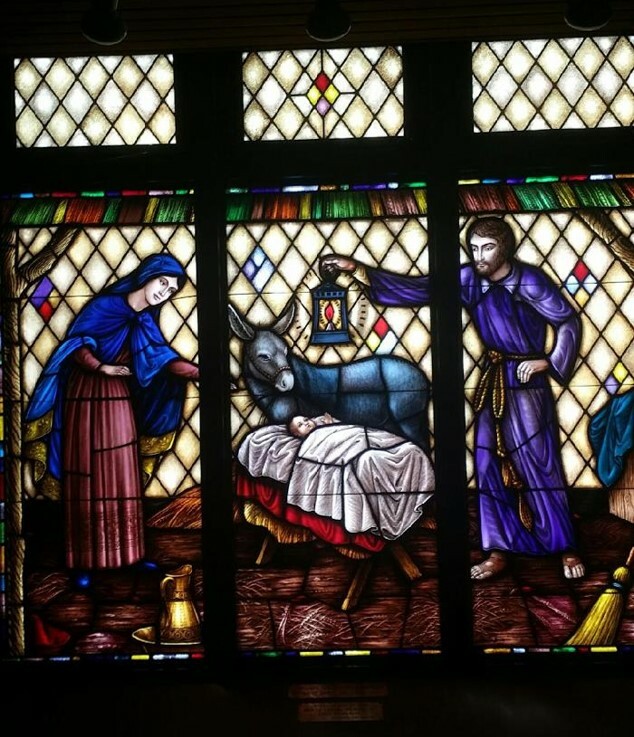 We checked out Mary, Joseph, and the baby. We even admired the donkey’s nostrils. (I’m kind of glad this was only a two dimensional depiction of the Nativity). Sam gave me a gift that day. He reminded me to appreciate the Incarnation and to notice the little details in the picture that I am always too busy to pay attention to. After several elders had gathered for a consultation about the details of the service, Sam again proclaimed in a loud clear voice. “Look! People are lining up to see Jesus!” Of course, that’s what we want to do most Sundays if we’re honest about it. It’s all about seeing Jesus. How does God use “things the world considers foolish” (1 Corinthians 1:18-31) to reveal His truth to you? What helps you be alert to what Holy Spirit is saying to you?